When you think about England, you could be forgiven for associating this beautiful, historic country with London, the idyllic rural villages around the Cotswolds or perhaps the ancient ruins at Stonehenge. 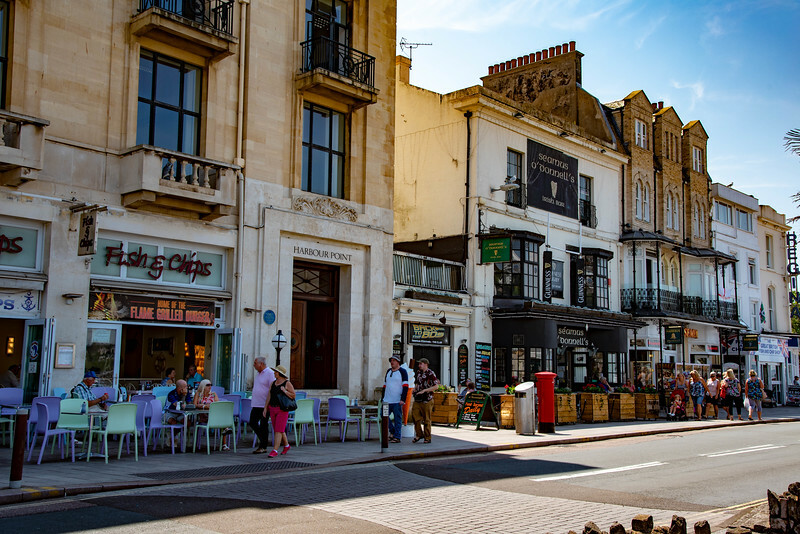 However, if you have read many of our other posts associated with England, you will know that we try to focus on some of the “lesser known” destinations that we still think should be on everyone’s radar…this post is no different! Welcome to the best things to do in South Devon! Located in the south-west corner of England just north of Cornwall, Devon is a county that is frequently left out of the limelight, primarily because it doesn’t have those high-profile attractions or cities that everyone immediately associates with the UK. But don’t let that convince you to stay away from this area…in fact, we would argue that this should intrigue you to explore and after reading this post, we hope that you will have a few ideas as to the best spots worth experiencing in the southern part of the county. 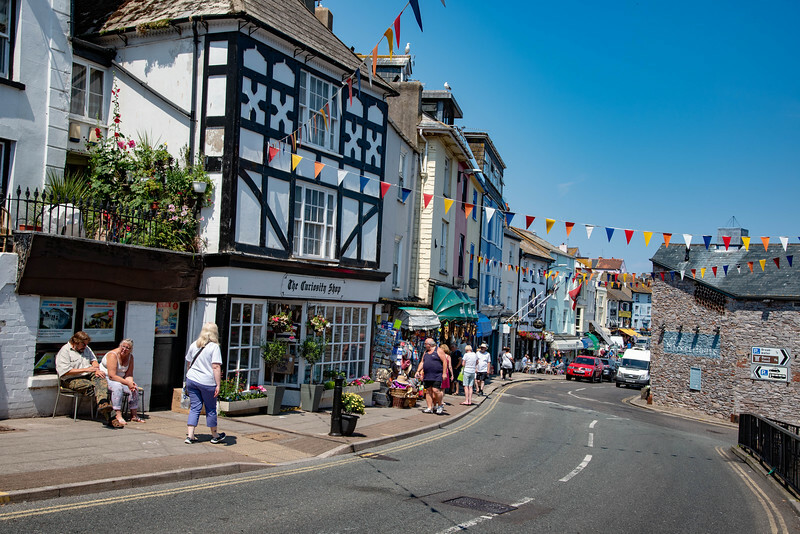 From historic castles to spectacular waterfalls, from quaint seaside villages to delicious local cuisine, South Devon is home to pretty much everything you could wish for in a perfect vacation spot. 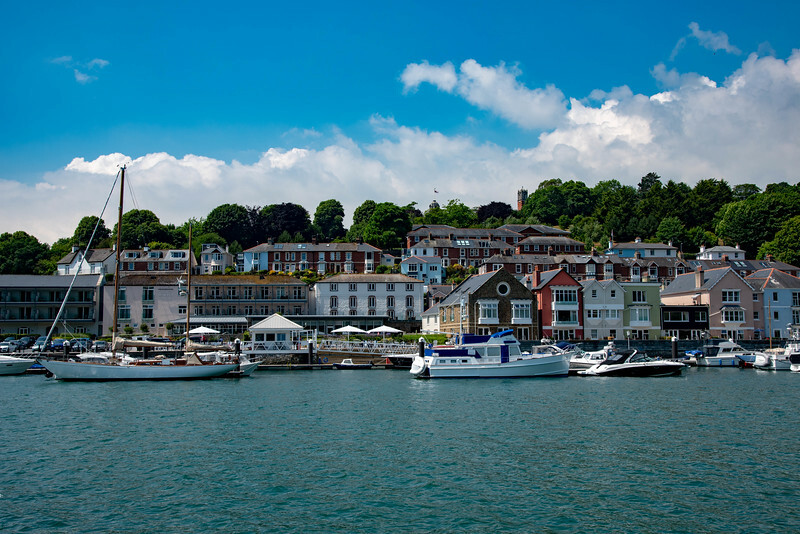 The iconic English Riviera is the focal point of South Devon, primarily renowned as such because of the direct comparison with the more infamous “French Riviera”. 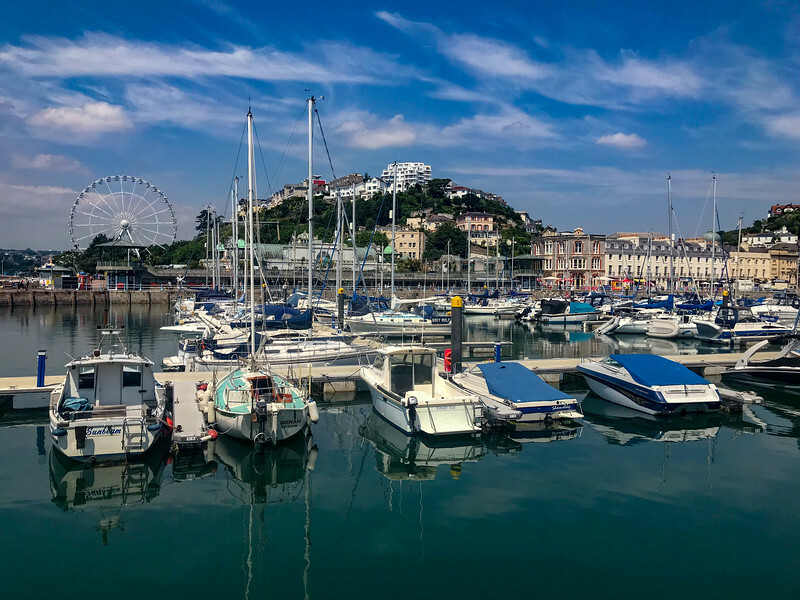 However, the collection of seaside towns featuring the likes of Torquay, Brixham, and Paignton are known locally as Torbay. 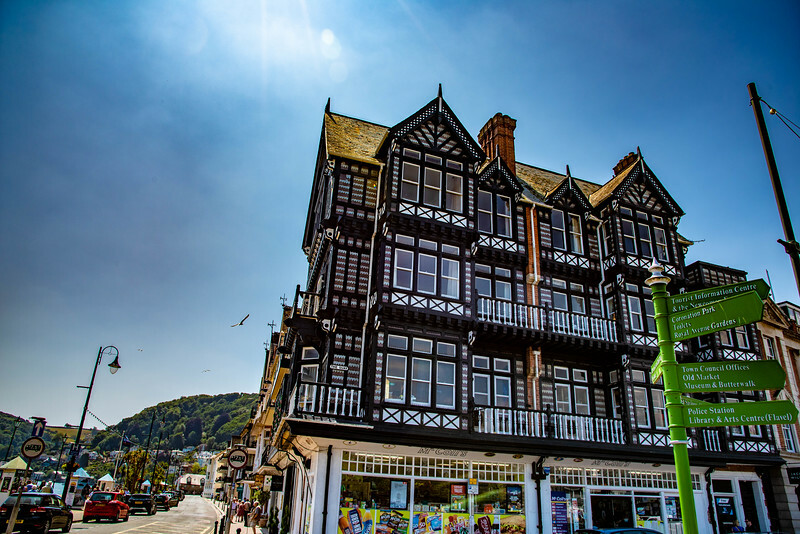 But as you will see, South Devon expands much further than just the coastal towns, so let’s take a look at some of the best attractions and experiences that you cannot afford to miss! 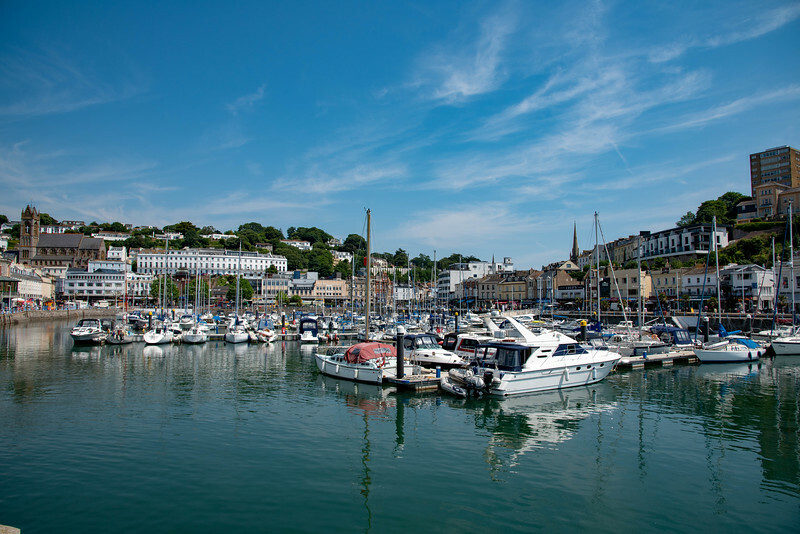 Torquay is undoubtedly the heartbeat of South Devon with a vibrant seafront, gorgeous marina and a myriad of shops and restaurants that will leave you with plenty to experience during your visit. 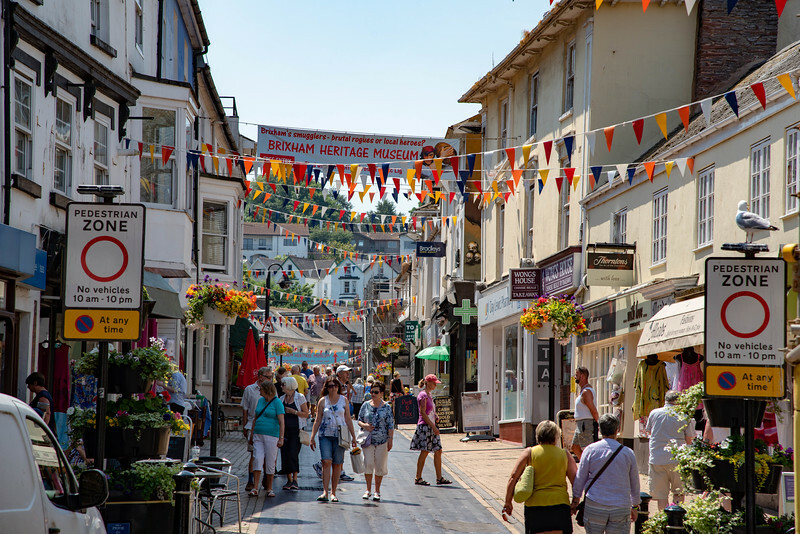 Take a stroll up the main street to enjoy a little retail therapy while visiting Devon or perhaps you prefer to admire the collection of luxury yachts and fishing vessels that are docked in the marina. 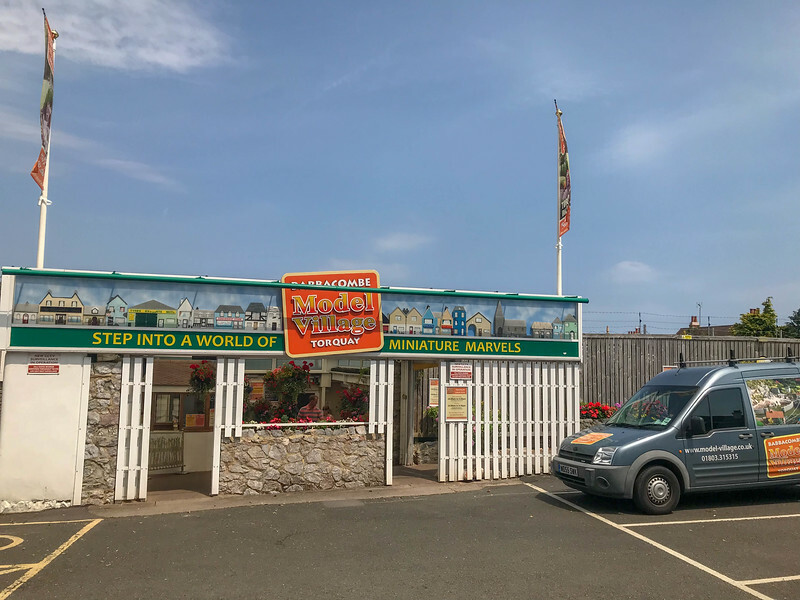 Living Coasts is a zoo and sea life aquarium located along the seafront, offering an amazing experience with nature while admiring the spectacular views overlooking the bay. 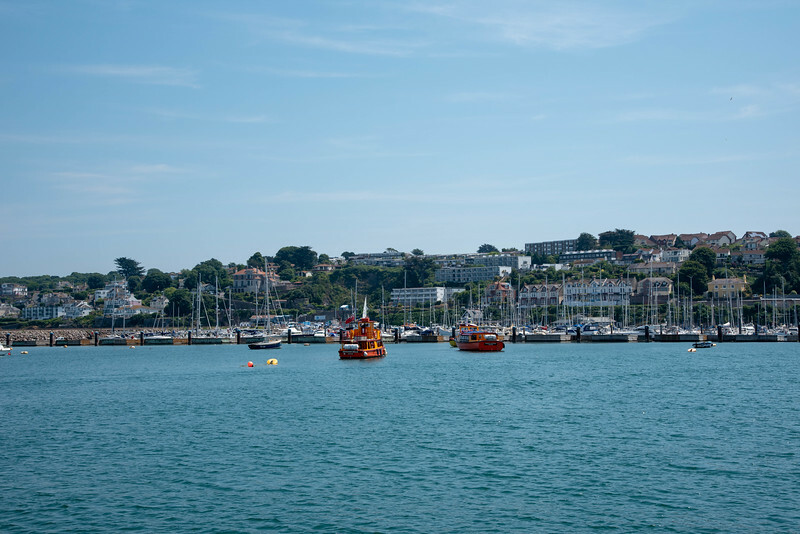 For those of you that are intrigued by the prospect of heading out to sea, there are plenty of daily excursions available, ranging from fishing trips to a cruise that takes you across the bay to the nearby coastal town of Brixham. We highly recommend this not only because of the awesome cruise but also because Brixham is another town that we recommend visiting while experiencing South Devon. However, for the history buffs visiting Torquay, head over to Torre Abbey that dates back to 1196 when it was originally founded as a monastery. Today, it is renowned as the best preserved medieval monastery in Devon and Cornwall. 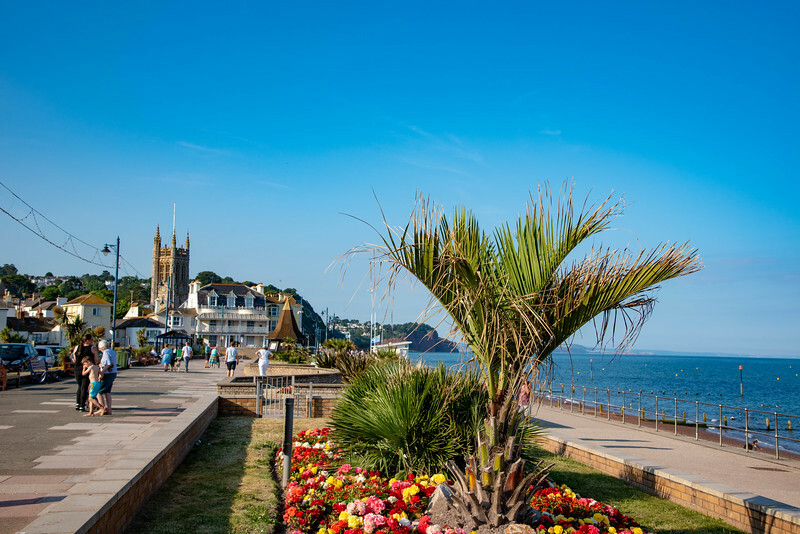 Back in the heart of Torquay, take a short stroll along the seafront before arriving at Abbey Park to test your golfing skills with a leisurely round of pitch and putt or perhaps enjoying the locals showcasing their crown green bowling skills. 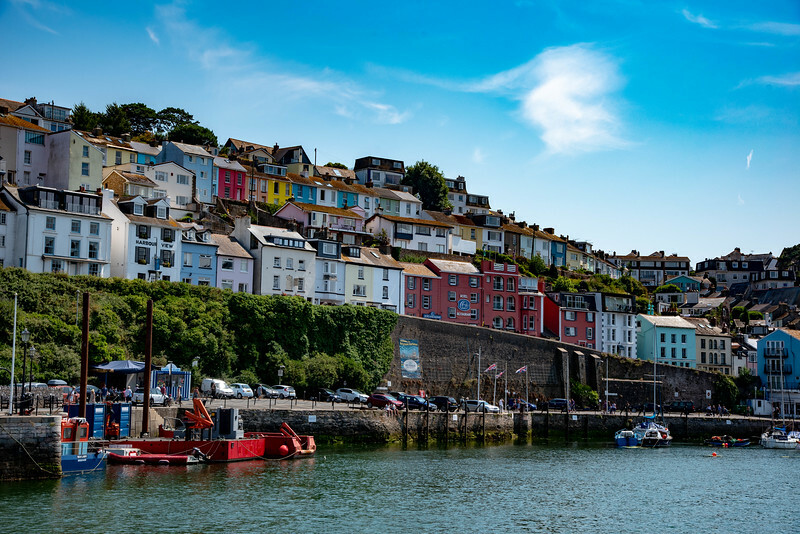 The fishing town of Brixham epitomizes the beauty throughout South Devon. 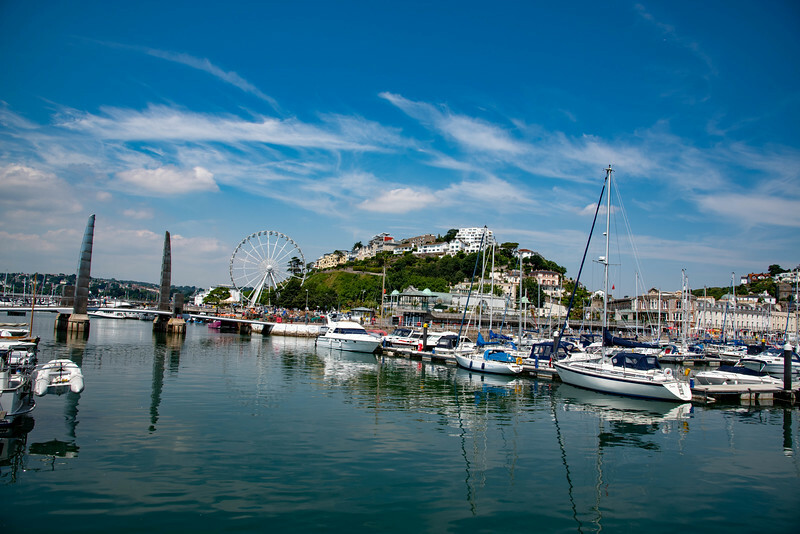 If you choose to follow our above recommendation and hop on the cruise from Torquay, you will enjoy the ultimate arrival in Brixham because it’s the best way to appreciate the overall appearance of this town. As you approach from the bay, you cannot help but admire the local residential areas scattered across the landscape, while the focal point is undoubtedly the harbor housing the local fishing vessels. 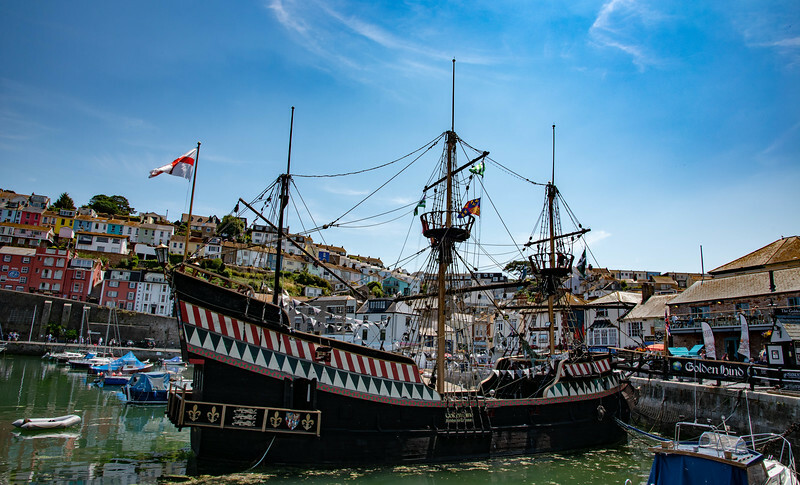 At the heart of Brixham’s fishing harbor is one of only two true replicas of the Golden Hind ship, recognized as the first ship to circumnavigate the globe courtesy of captain Sir Francis Drake. Your adventure exploring Brixham begins the moment you step off the boat (or car if you choose to drive into town) and with a plethora of local shops and restaurants to choose from, this is the ideal spot to relax and enjoy lunch while interacting with locals who will certainly be happy to provide recommendations on the best things to do there. 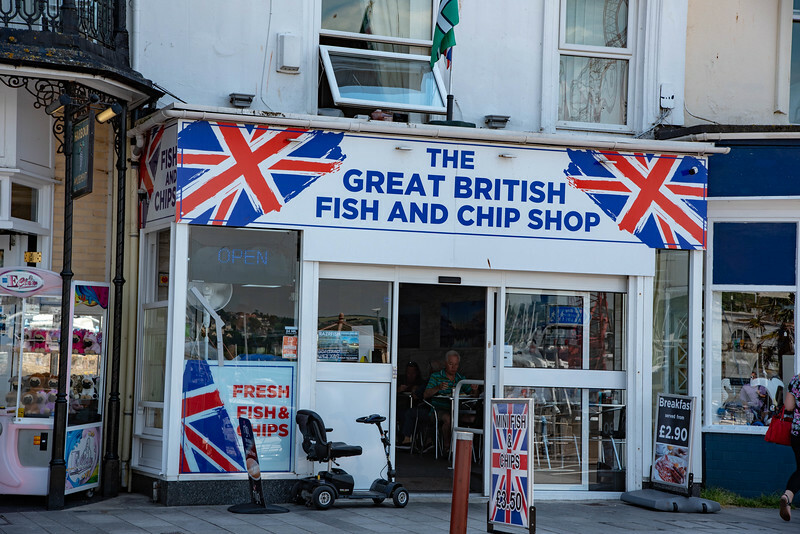 Visitors to Brixham will be impressed by the selection of local Fish and Chip shops. 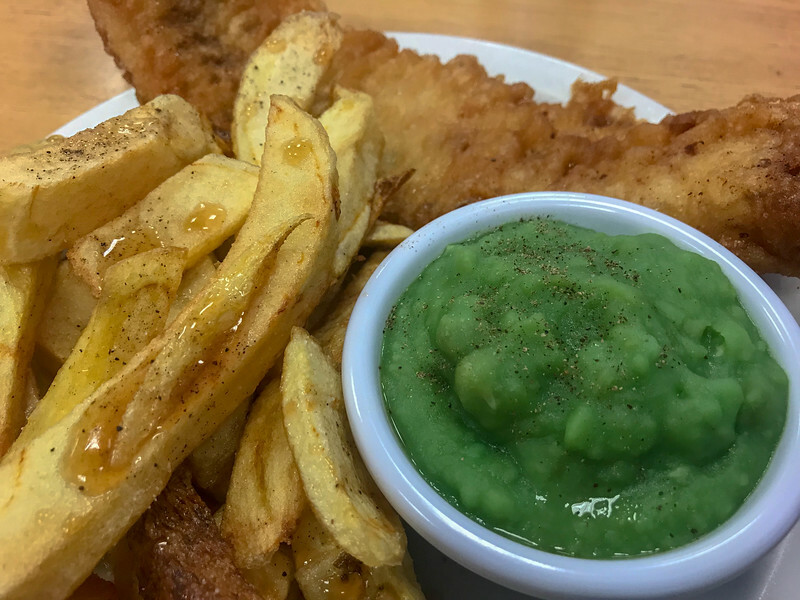 Just like a cream tea is a staple for Devon and Cornwall, I would highly recommend sampling the local fish and chips! 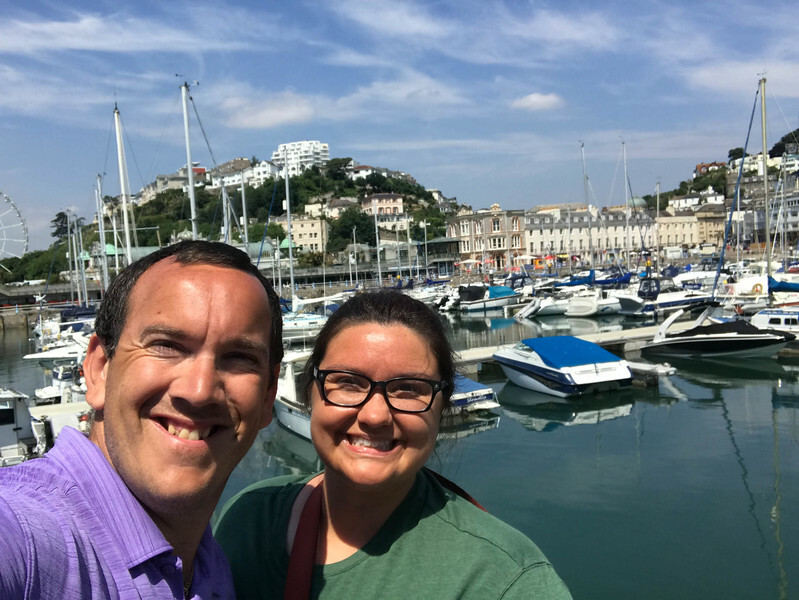 There is nothing quite like finding the best local spot (again, interact with the locals and they will point you in the right direction) and enjoying the typical British meal while exploring Brixham town center. 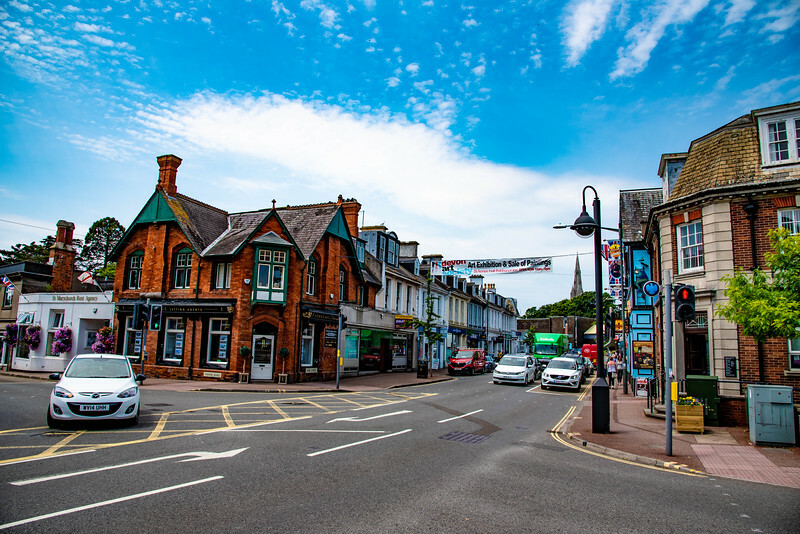 From the quaint and quirky to the family fun activities we all associate with a traditional British holiday, Teignmouth is a great spot worth visiting to experience a little bit of everything. 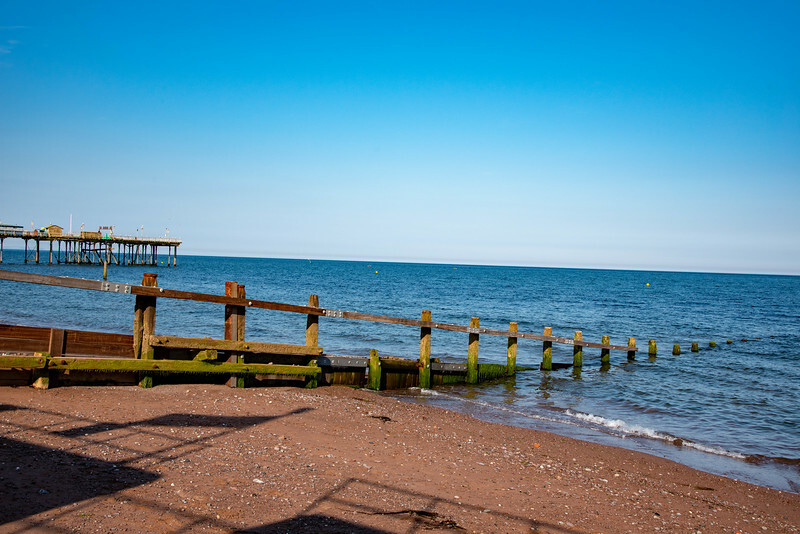 During our recent trip to Devon, we made a quick trip to Teignmouth to experience the seafront and the River Teign estuary. Take a walk along the beach to enjoy the gorgeous sands or try out your luck inside one of the arcades before relaxing with a game of crazy golf. All of this and much more can be experienced directly on the promenade. 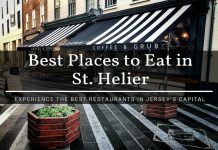 Further inland, enjoy gorgeous historic architecture with a myriad of Georgian inspired buildings while those looking to sample local cuisine will be faced with a destination gaining a reputation for having a great gourmet selection. 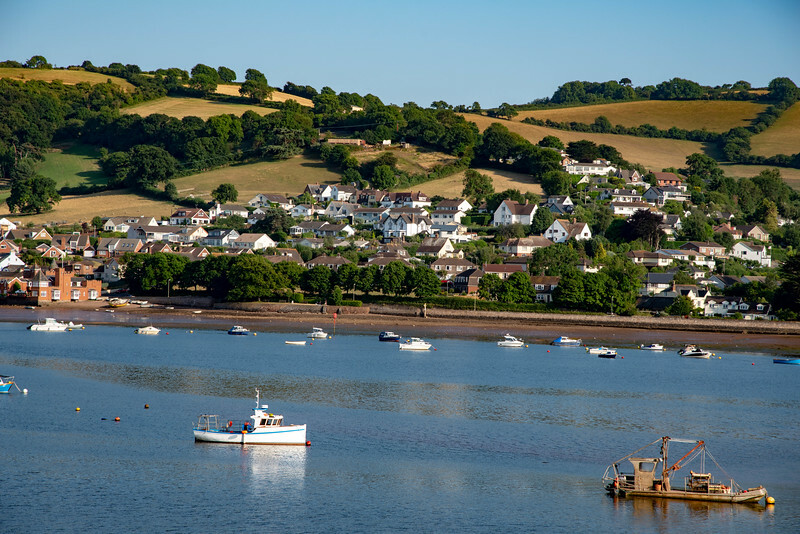 “The Taste of the Teign food trail” offers visitors and locals alike the opportunity to sample “world-renowned mussel and oyster beds” along with local berry farms and craft breweries. When it comes to idyllic landscapes, there are not many spots that offer more spectacular views than those available at Babbacombe Bay. 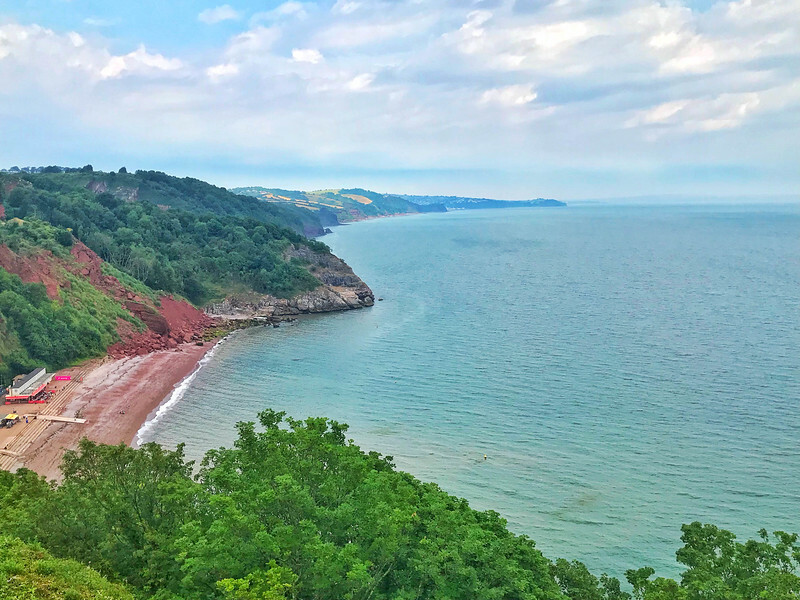 Just a few miles along the coast from Torquay, Babbacombe is the perfect place to experience if you are looking for a tranquil setting yet still offering plenty of things to do. 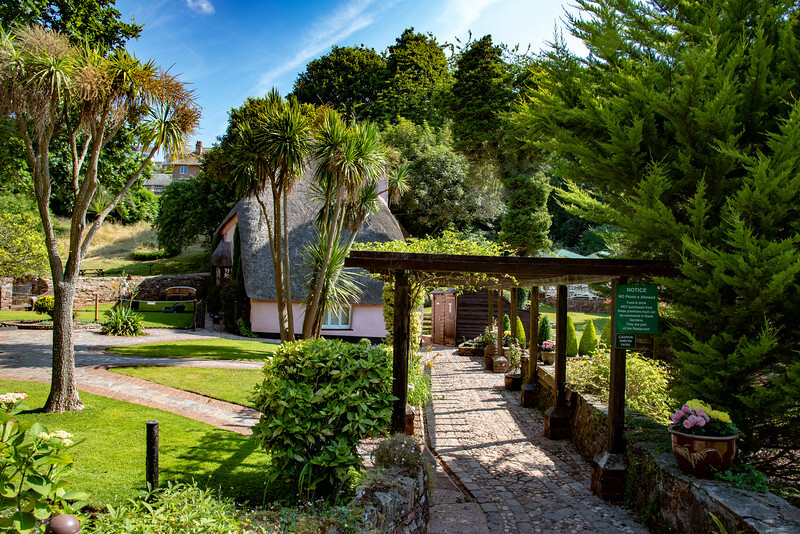 Aside from the spectacular views across the bay, Babbacombe is known for the model village full of intricate details and a fun-filled experience for all the family. 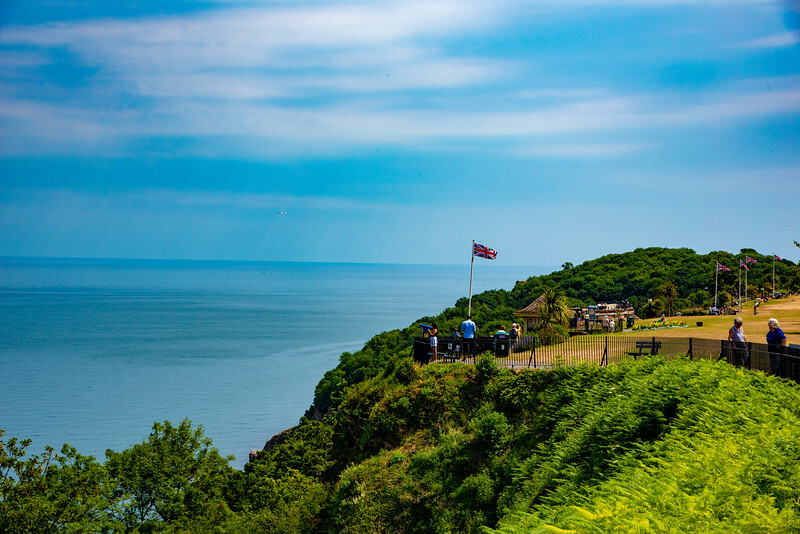 The Babbacombe Cliff Railway is another iconic attraction, particularly given its history dates back over 90 years and offers the perfect way to reach those gorgeous beaches without having to worry about hauling your beach gear up and down the steep cliffs. 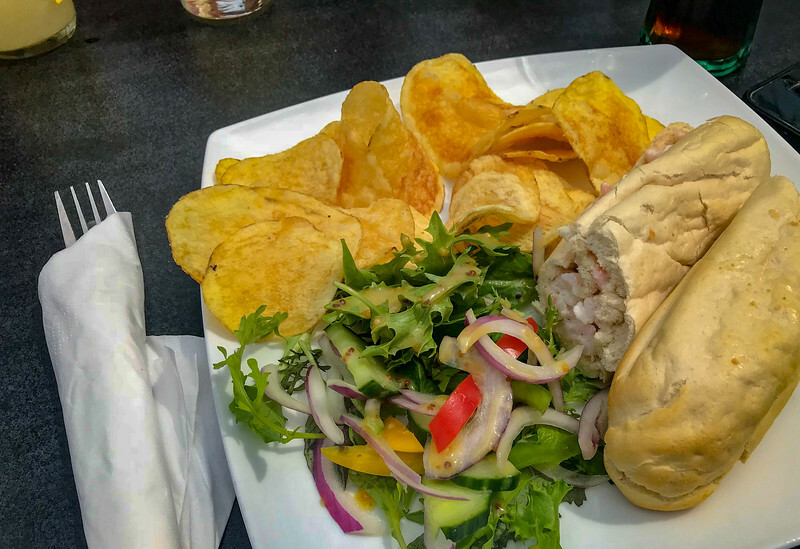 When it comes to places to eat, there are several cafes in Babbacombe that offer some of the best lunch options across South Devon. 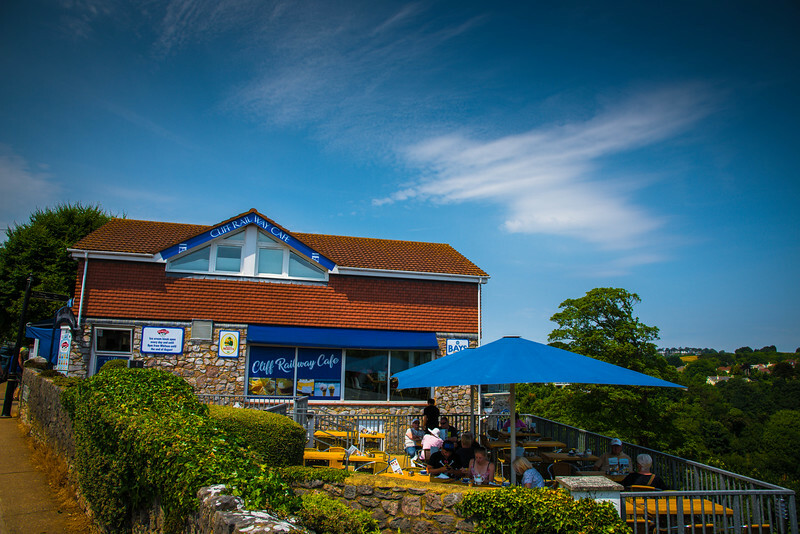 The Cliff Railway Cafe has plenty of outdoor seating, offering majestic views across the bay while Babbacombe Bay Cafe is perhaps our favorite choice, with a variety of awesome baguettes, warm meals and much more to choose from! 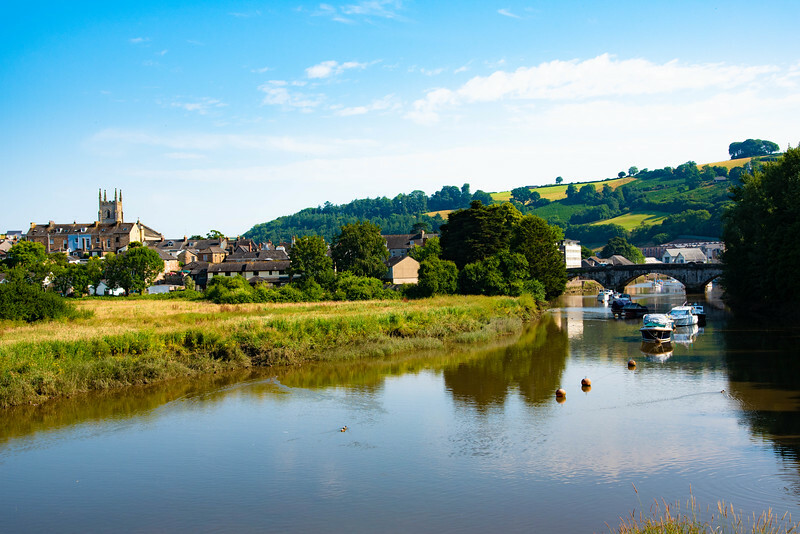 The historic market town of Totnes is a place you cannot afford to miss when exploring South Devon. 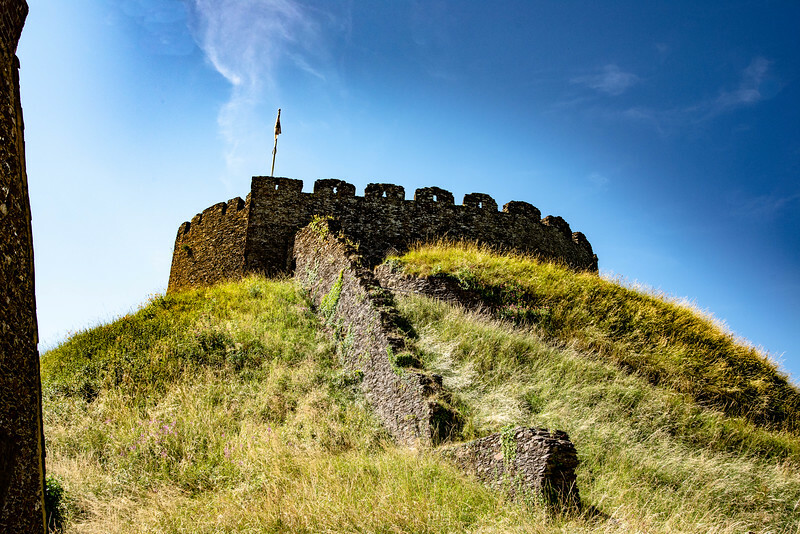 Totnes Castle is one of the best-preserved examples of a traditional Norman motte and bailey castle and is definitely worth experiencing when you visit this part of the county. 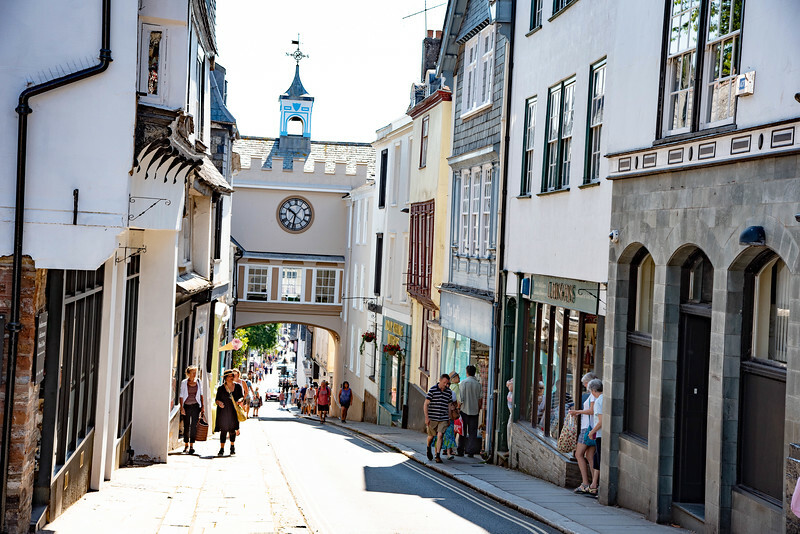 The main street that runs through the heart of Totnes is a shoppers paradise, with plenty of local boutique establishments and brand name stores to explore. 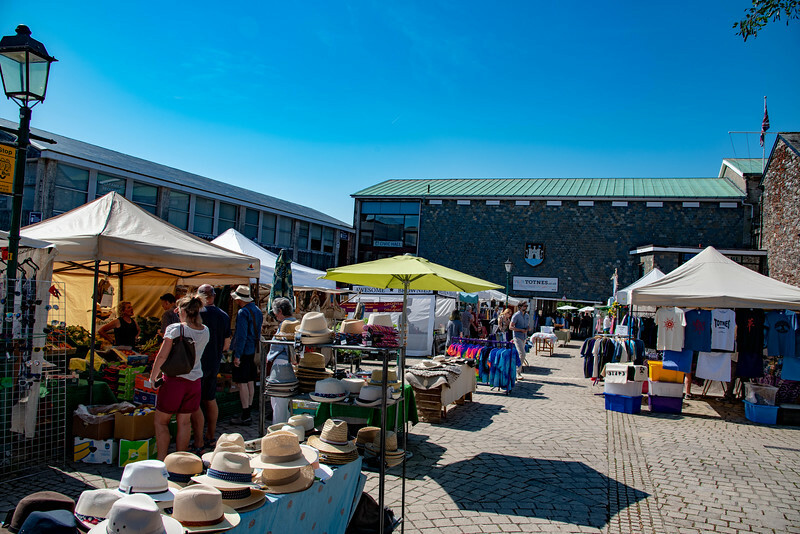 Be sure you schedule your visit to Totnes on market day (Fridays and Saturdays) to experience the weekly market held in the Civic Hall Square. An Elizabethan market is also held every Tuesday morning and visitors can enjoy locals wearing their period attire. 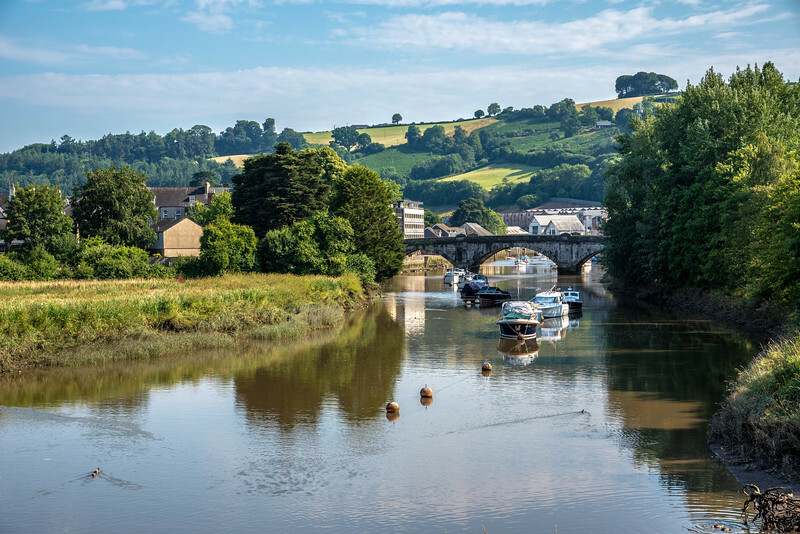 As you leave (or when you arrive) Totnes, be sure to check out the views across the River Dart. You never know what wildlife you will spot and there are plenty of boats always meandering their way through the channel. 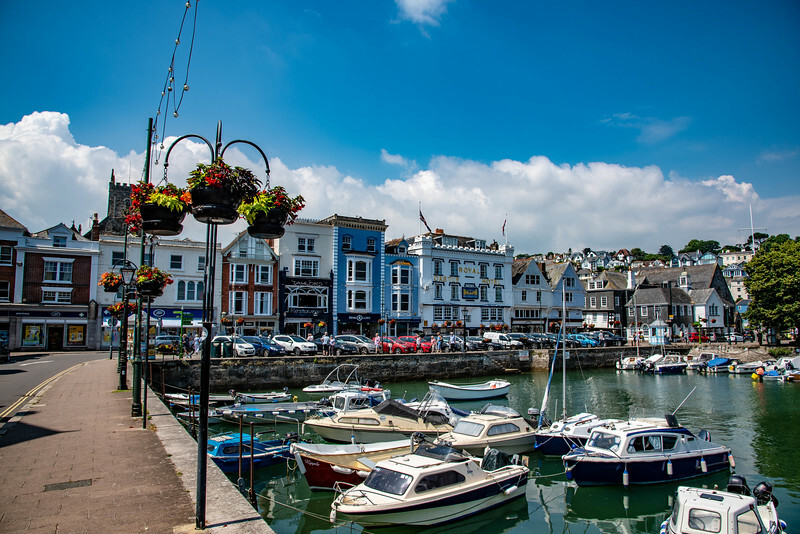 When it comes to South Devon being renowned as the English Riviera, the beautiful town of Dartmouth is surely one of the main reasons for this recognition. 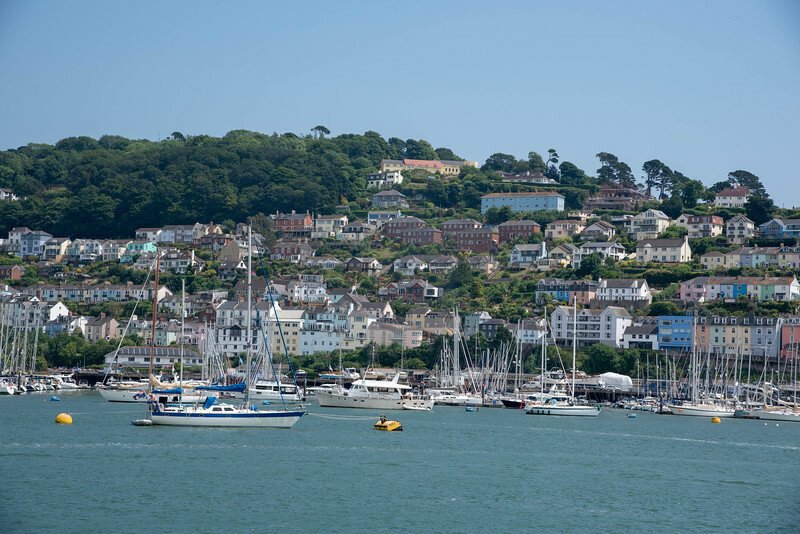 Whether you arrive in Dartmouth on board a cruise from Torquay or other nearby coastal town or perhaps you hop on the car ferry for the short ride across the River Dart, the Meditteranean style appearance of the town is what immediately captures your attention. Dartmouth has a long history with the Royal Navy, primarily because of the naval college located just outside the town center. Officers have been trained here since 1863, indicative of the history throughout this part of South Devon. 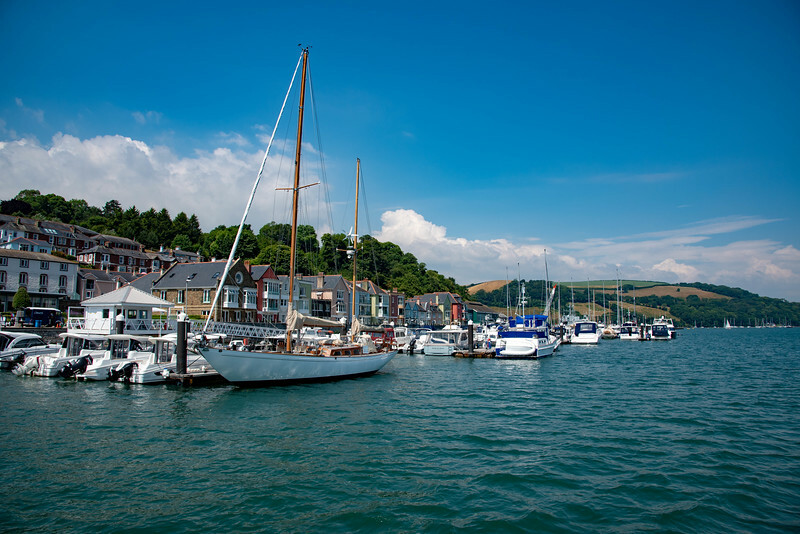 The scenic river location of Dartmouth is perhaps the primary reason why so many visitors explore this area but the moment you step off the promenade, you have the opportunity to explore art galleries, museums, local shops and much more. 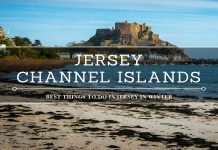 There certainly isn’t a shortage of things to do in this coastal town! Ready to experience one of England’s highest waterfalls? 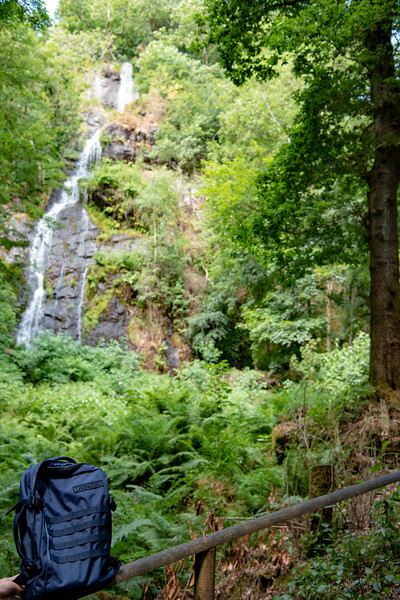 That’s right, South Devon is home to Canonteign Falls, a 220-feet waterfall that is located among a forested landscape and ready for adventure seekers to explore. 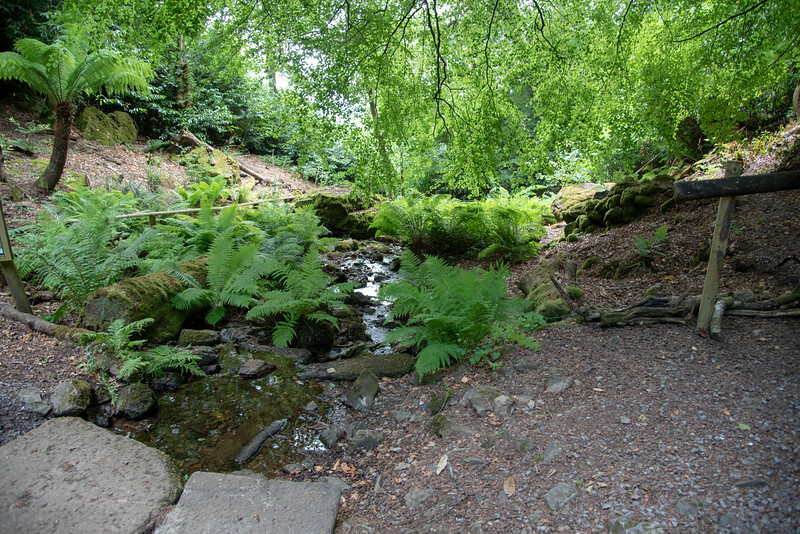 For a small admission fee, visitors can enjoy a short hike through the heart of the Teign Valley and Dartmouth National Park before arriving at the pièce de résistance, Canonteign Falls! 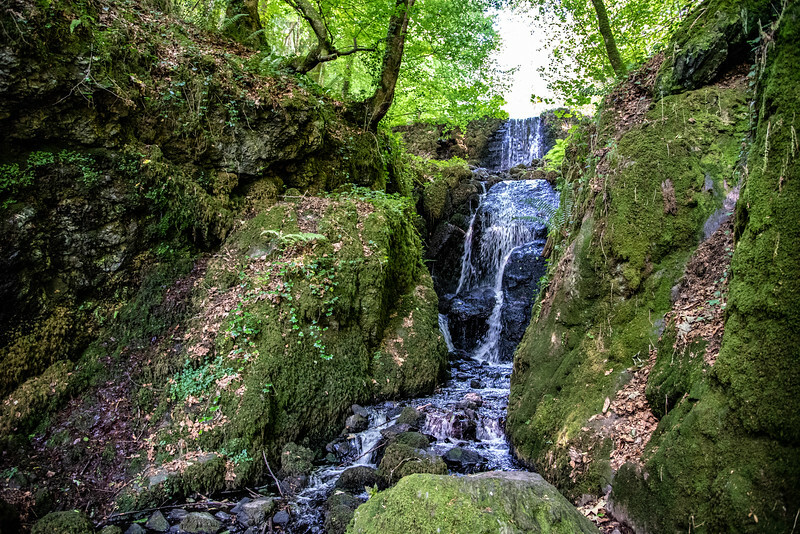 Several hiking trails are available at Canonteign Falls but the most popular leads visitors through the bluebell woods and up the 70-meter waterfall until you reach the summit and experience epic views across South Devon. 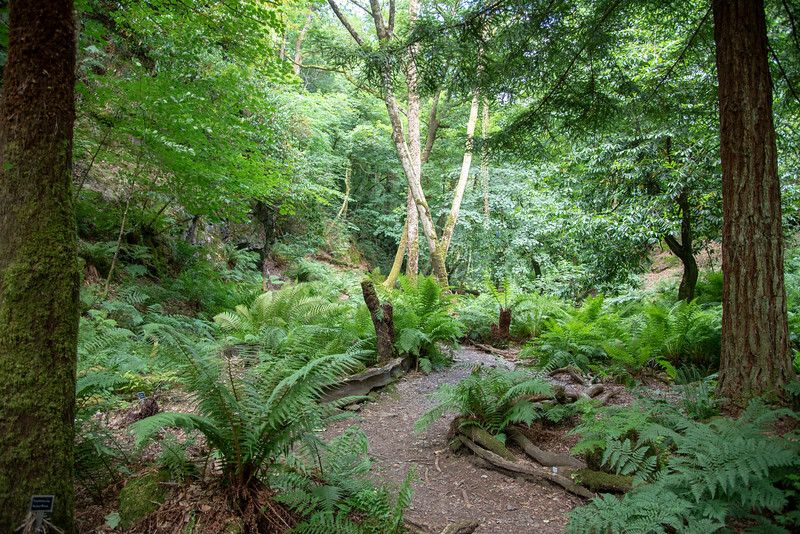 The magical Victorian fern garden can be found around halfway through the hike and offers a unique collection of ferns that create a relaxing ambiance for visitors to enjoy before continuing on the adventure through the wooded area. 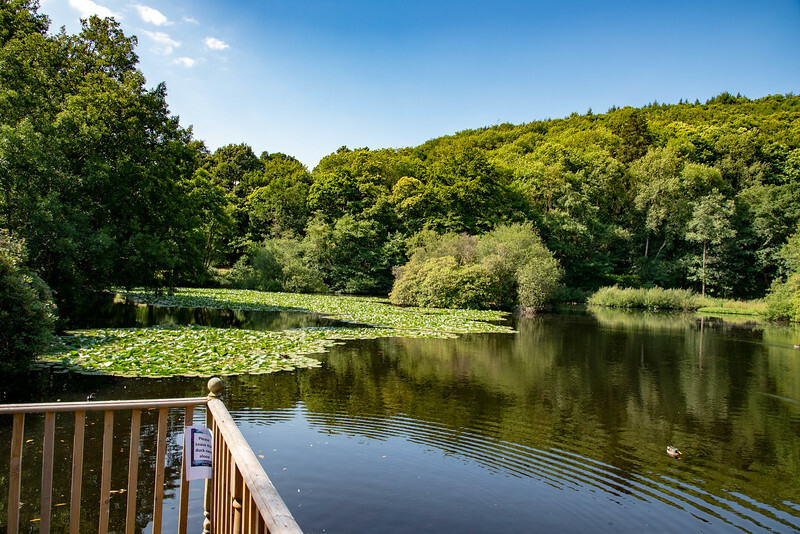 An abundance of flora and fauna can be enjoyed throughout your visit to Canonteign Falls and you can spend a few minutes inside the gift shop following your visit to find something that will remind you of your experience. 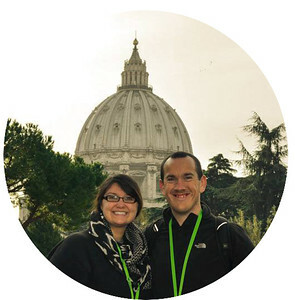 For us, the memories are the perfect tonic to remind us that a return visit is in order! Idyllic, quaint, picturesque and in many ways, perfection! This is really the best way to describe the charming village of Cockington just a few miles from Torquay. 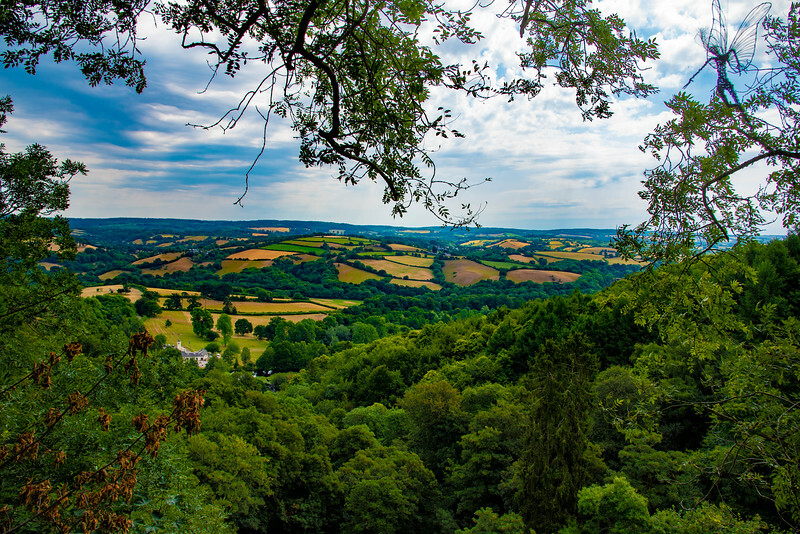 The village is relatively small with just a few local gift shops and cafes but when it comes to inherent beauty across South Devon, there are not many spots more breathtaking than Cockington. Driving to Cockington could be described as a challenging experience, particularly if you are not used to the narrow roads that can be found throughout Devon. I probably should have referenced this earlier but for folks (Heather is one of them!) that haven’t experience English country roads, they can be a little overwhelming! But trust me when I say, it’s worth the effort and can actually be a pretty exciting adventure in itself. 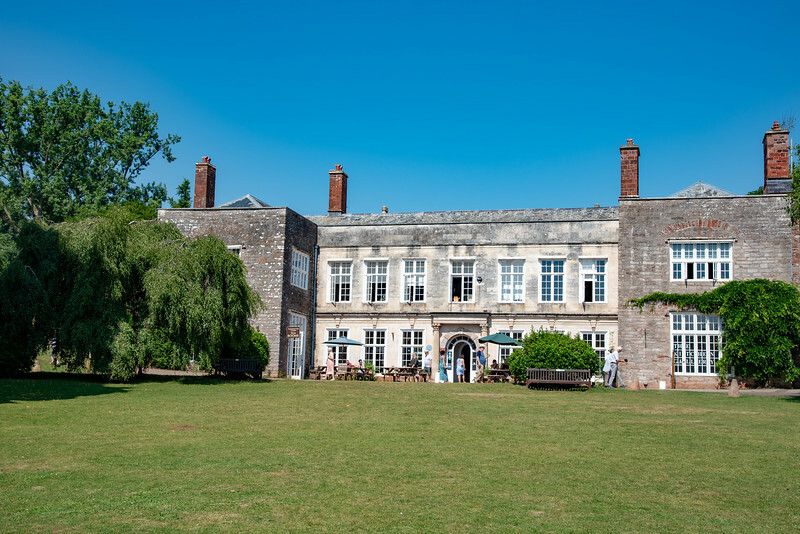 At the heart of the village lies the spectacular Cockington Court, a manor house dating back to medieval times and surrounded by acres of gorgeous country park. 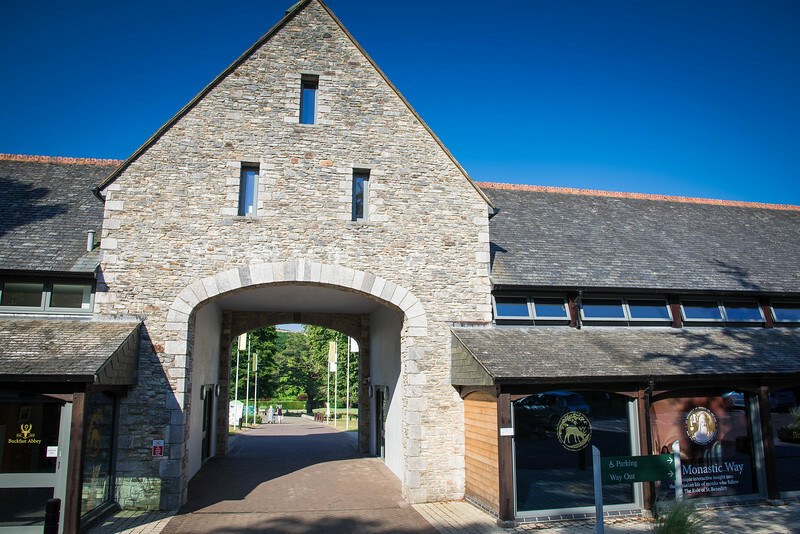 The plethora of unique attractions across South Devon continues with a working Benedictine monastery in Buckfastleigh, just a few miles outside of Newton Abbot and Totnes. 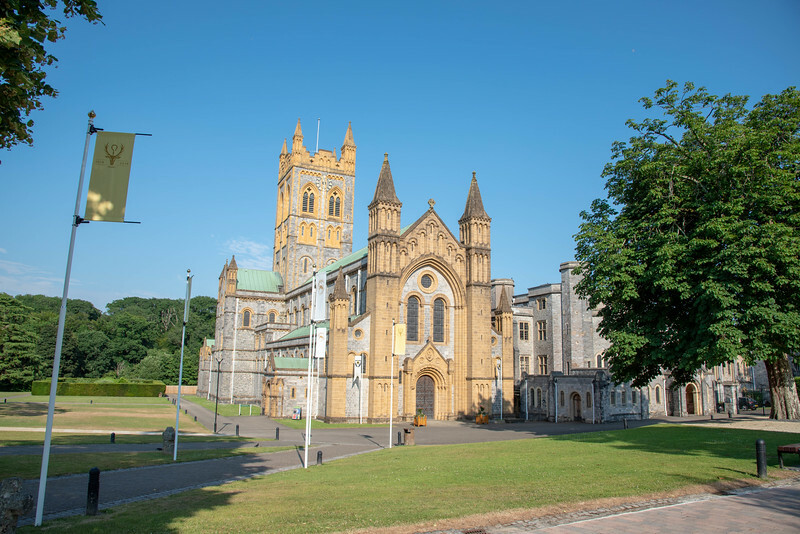 For those of you planning on spending a few hours in either of these aforementioned towns, take some time to visit Buckfast Abbey for a historic experience. 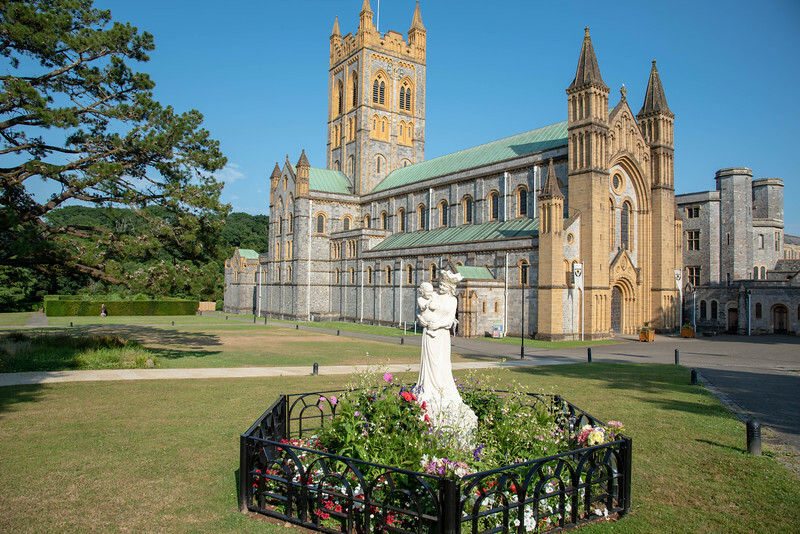 For the historians out there, Buckfast Abbey offers a real treat! 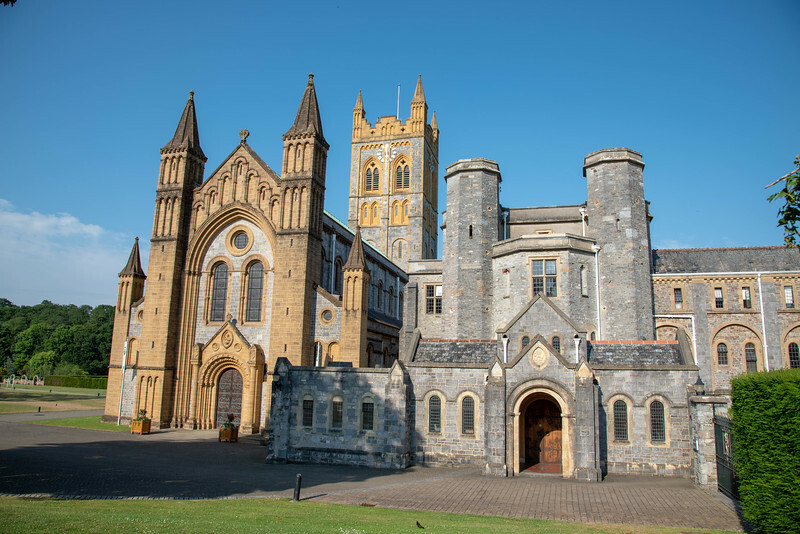 Buckfast first became home to an abbey in 1018, while the first Benedictine abbey was followed by a Savignac abbey constructed on the site of the present day structure in 1134. 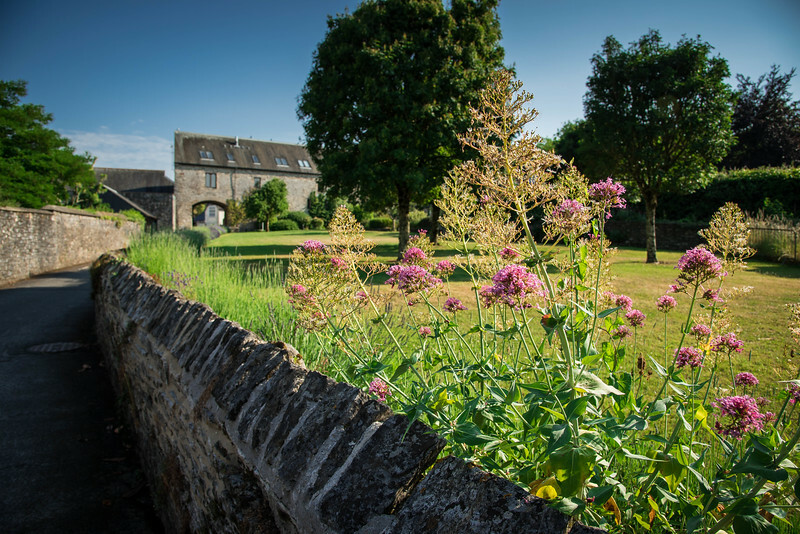 Spend some time exploring the grounds, visiting the gift shop and restaurant, before heading over to the tranquil setting of the Sensory, Physic and Lavender Gardens. 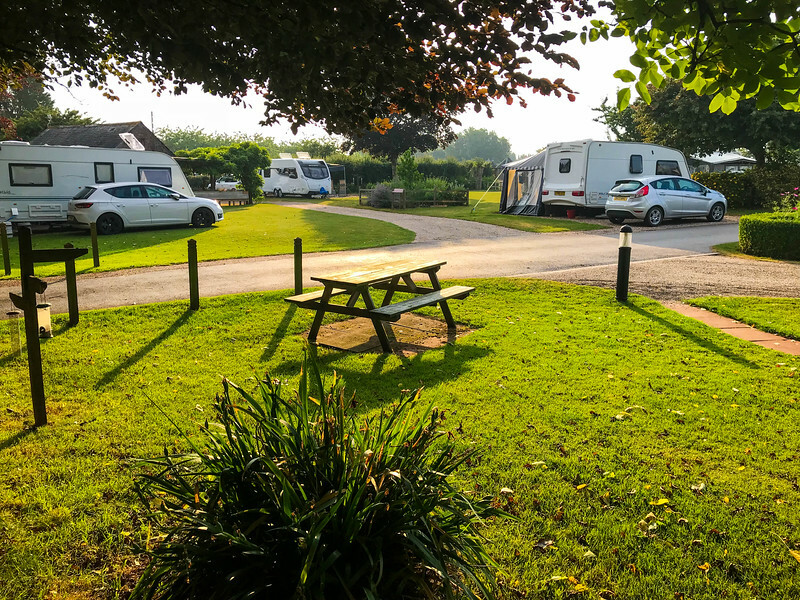 Camping in Devon is certainly one of the best ways to enjoy the very best of this county and we strongly recommend considering Ross Park Caravan Park as your preferred option. 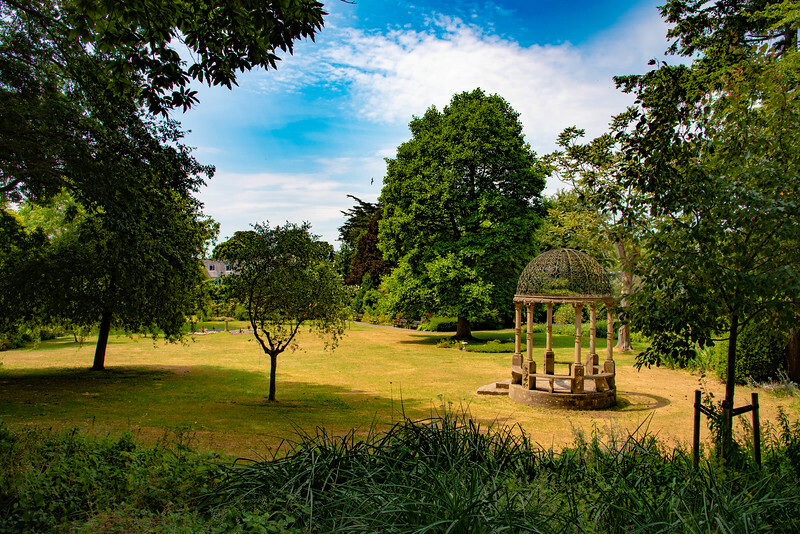 Located just outside of the market town of Newton Abbot in the small village of Ipplepen, Ross Park is perfectly located to explore everything South Devon has to offer. 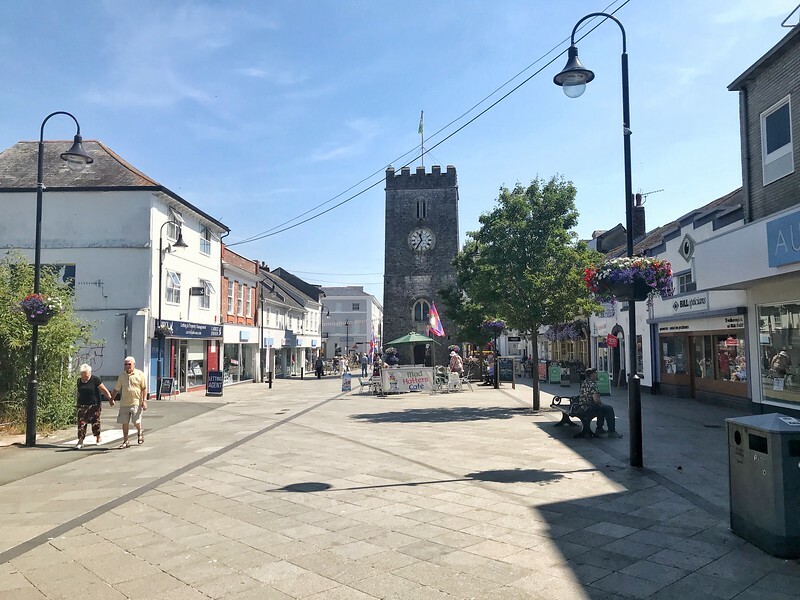 For those of you that don’t want to venture too far away from the caravan site, head into Newton Abbot to enjoy this traditional market town. With plenty of indoor and outdoor markets to experience, this is definitely a great spot to find local produce and bargains. If you are visiting during horse racing season, Newton Abbot racecourse frequently hosts meetings throughout the summer months. 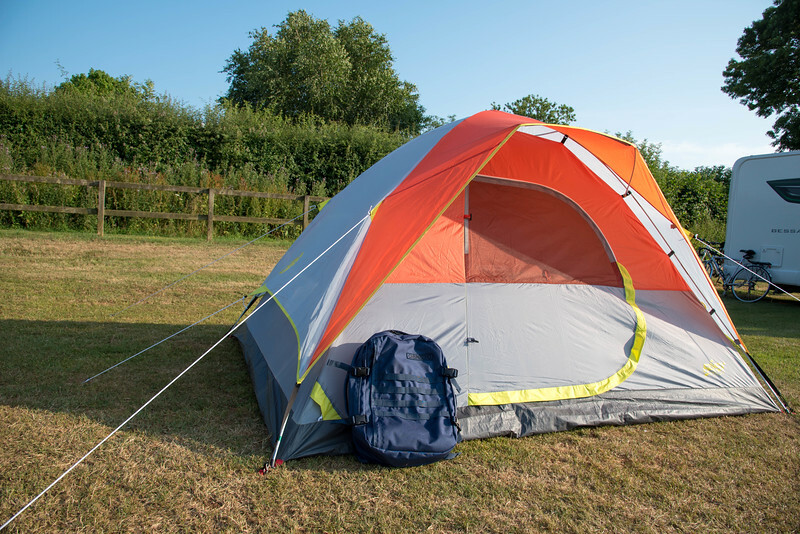 A number of country parks are easily accessible from Newton Abbot, including Decoy Country Park, Courtenay Park, and many others. 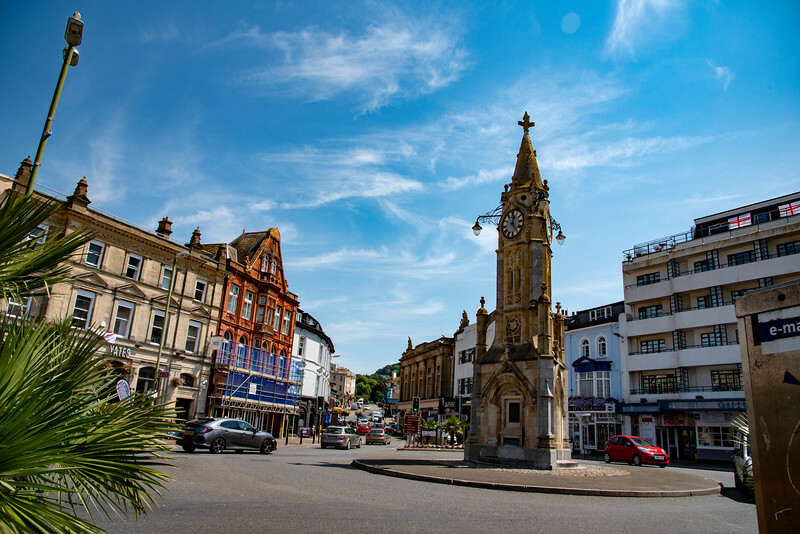 There are plenty of shopping options available throughout the town so if you ready for the hustle and bustle of life in a small Devon market town, Newton Abbot is the place to go! 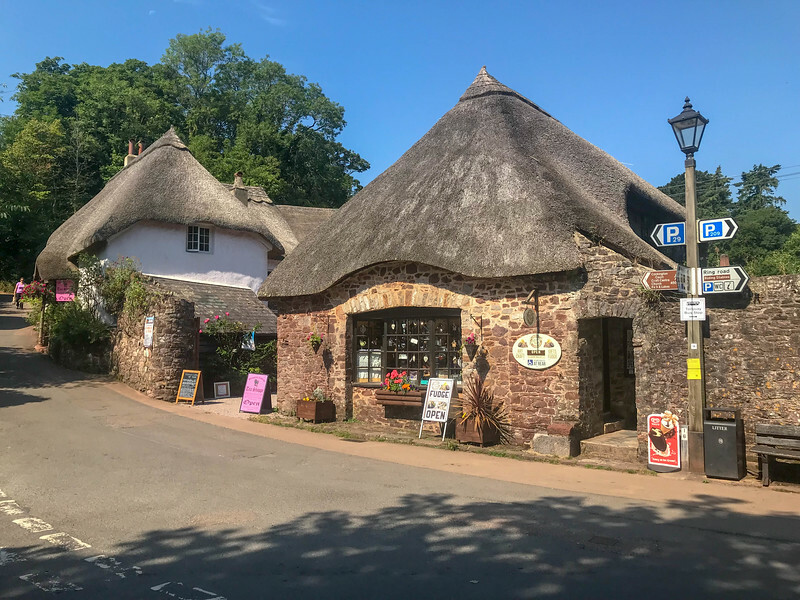 South Devon may not be the first part of the UK you think about visiting but we would argue that this richly deserves to be considered as a viable vacation spot. 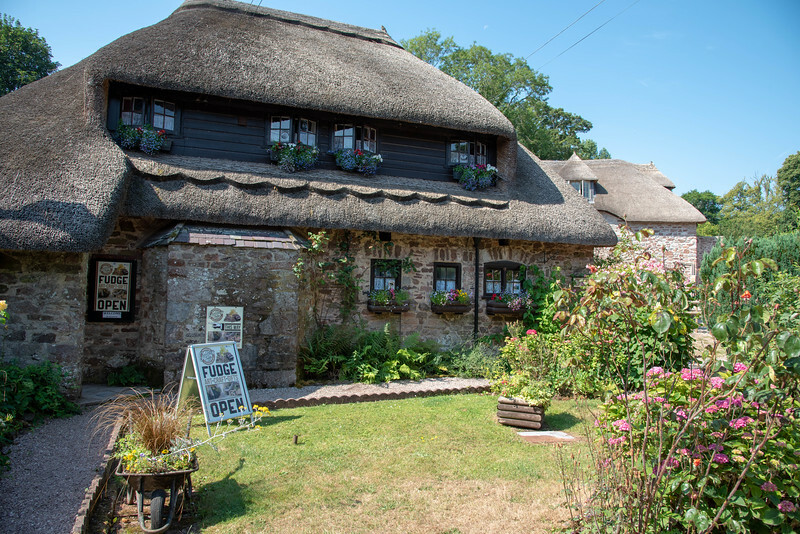 Breathtaking panoramic landscapes, architecture steeped full of history and a variety of local spots that will immediately capture the imagination, are all reasons why South Devon should be on everyone’s radar. Although we have highlighted ten of the best things to do in South Devon, this barely touches the surface. 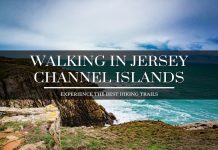 It’s a part of the UK that needs to be explored and we cannot wait to return in the near future to experience more of this. I almost forgot to mention…South Devon is perhaps the BEST place in the UK to experience a traditional cream tea!! We can well and truly attest, it’s delicious. 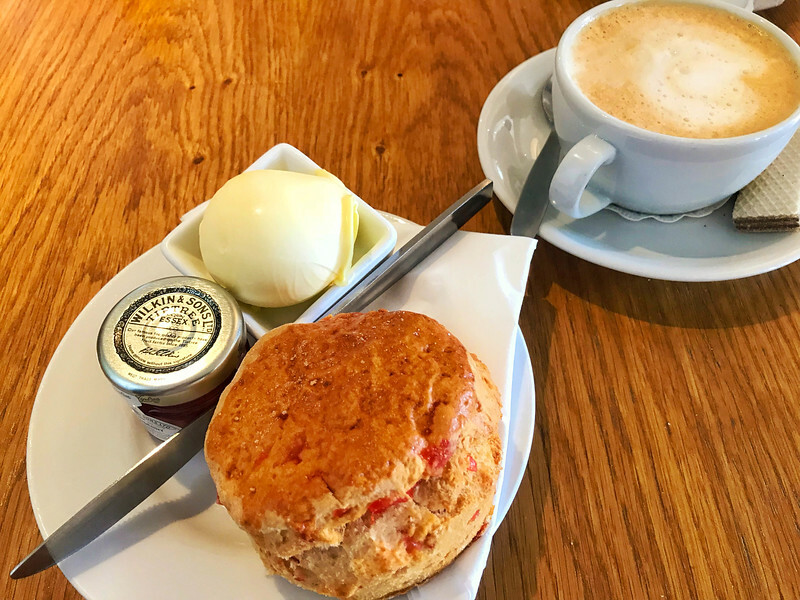 Devonshire Clotted Cream, Jam, and a Scone combined with either coffee or tea…are you guys sold now?? WE DEFINITELY ARE! Previous articleHow to Get from Midway to O’Hare Airport with No Hassle? Next articleInternational Travel Insurance – Is It Really Worth It? Such a good post I glad to read it. I have never Visit South Devon, and your pictures make me crazy and now I’m planning to visit here. Thanks for sharing attractive pictures with us. This area looks fantastic! I love anything that’s on water. Plus the architecture looks lovely, there’s waterfalls, boats, and a miniature village. It has it all. You also can’t go wrong with fish and chips, yum. Great suggestions, Devon has a lot to offer, cliffs and sandy beaches, picturesque landscape and historical towns. The food is delicious! One of the most beautiful parts of England.